Online search has evolved massively because of voice search. The voice search results often vary from normal text searches, causing changes in the way people optimise websites for search as well. In this day and age, consumers have the power to find what they want online when they want it. People’s needs are gratified instantly and efficiently, owing to mobile phones and tablets, and the introduction of voice search has taken this to a whole another level. Over one billion voice-enabled devices where circulated by the end of 2018. An estimate of over one billion voice searches is conducted every month. 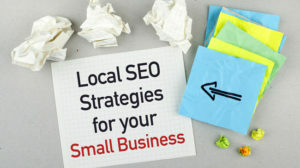 This extremely progressive trend that is reshaping the way digital businesses approach their local marketing is not limited to the search engines. There are speakers like Amazon’s Echo and Google Home scaling with the Internet of Things (IoT) that enable conversational discovery and search. Additionally, there are chat-enabled voice assistants like Cortana, SIRI, and the Google Assistant, and voice-activated navigational applications as well. How Will My Business Show With Voice Search? Not sure? Well, here are five important things that can help your online business appear in the voice search results! How To Get Your Business Listed For Voice Search? The whole point of your online and digital presence is dependent on getting your business listed on all relevant listing’s sites and directories. Sites like Yelp, Facebook, Yellow Pages, and Google My Business can help increase your online citations and help you establish a very strong online presence. You need to make sure that your listings are consistent and accurate across all these directories. Read our article about Online Business Directories. Make a list of all common directories and niche-specific directories that your business needs to be listed on and add business information to your list of sites. Create a spreadsheet of all business information you’ll need to add to these listings. This information is not limited to your business’ name, address, phone number (NAP); make sure you also add information like business hours, availability of parking facilities, handicap-friendliness, etc. Write up a short description (100 words) and a long description (250 words) of your business that you can add to your business listings. Add photographs of your store location to your listings. How To Capitalise On Online Business Reviews? If you were to run a search on your voice search of the best Chinese restaurants around you, you will see that the ones that rank are restaurants with an average four-star-rating or more. You can infer that the more positive reviews your business has, the better its chances of appearing on voice search results. How To Generate Reviews For Your Business? Ask your customers. According to a study, 68% of consumers leave business reviews when asked to. In addition to the above said, you also need to make sure that the review generation process is not cumbersome for your customers. So, when you collect your customer contact information, you can send out a review generation handout. Basically, it is an instructional pamphlet of sorts that directs your customers to leave you a review on your review sites. Automate your review management process. Another task that can help you capitalise your voice search effort with reviews is local review schema. 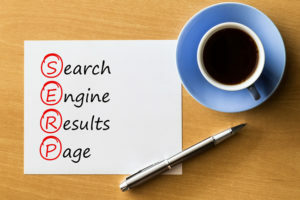 Once you add review schema to your website, you will direct the search engine crawlers to understand your website information and present it on the search engine results page (SERP) as snippets. Voice search results usually utilise this information to find the best-suited search results. How To Optimise Your Website For Long Tail Keywords? This difference in phrasing distinguishes keyword applications for type search and voice search. Therefore, you need to find ways to optimise for long tail keywords in your content. In addition to the long tail conversational search keywords, you can optimise your present keyword strategy for “Near Me” searches. 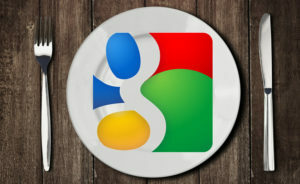 This step can turn out to be very lucrative for you because users are using search to find answers to personal queries. Let me explain! Imagine you’re the owner of a beauty salon and you’re trying to market your business better with a strong keyword strategy. You might have to target search queries like, “Should I colour my hair?” or “How often should I wash my hair?”. This way when a qualified hair stylist gives out good advice, people will be sure to visit your site and read your content. According to “Think with Google”, these personal queries are being conducted with the intention of solving a problem, exploring a certain area, or simply for getting things done. People are rampantly using their mobile devices to conduct voice searches. Based on this, Google announced that their search algorithms will primarily begin to use mobile versions of websites as a primary ranking factor. In order to optimise your website for mobile, you’ll need to make sure that it has a design that is responsive to mobile screens. Here are some things that make your website ready for the mobile-first index. You need to make sure that content is optimised for smaller screens and for the “fat-finger”. You’ll need to make sure that your site speed is not cumbered by elements like large images or content that takes longer to load. Your site content should load in less than two seconds. If your site has two versions, that is, one that is responsive on any screen and another that is specifically for desktops or larger screens, then your content must be the same on both. Featured snippets appear on search results as information presented in little boxes. Most search marketers refer to as position zero. It is a summarised version of the long form content that appears as a result of a certain search query. In addition to this, it contains a page title and a link to the page. Make sure that your keyword research is focused on longtail, conversational search queries. You can assume the average keyword length to be between three to five words. Most search queries, simply put, are questions. So, focus on words like “What is …”, “How to …” or “Best…”, etc. Try to break your answer down into a list if you’re aiming at featured snippets. Make sure your target keyword appears in all headings. Add H1, H2 and H3 tags wherever possible. Add your keywords to the title and the description. Make sure that your keyword appears in the unique resource locator or the page URL. To make this exercise more productive, keep in mind that voice search clearly states the intent of the search query. With this, you can understand your customer purchase journey, and you can build content for every piece of this journey. Talk to Search4Local about voice search and mobile first web design.